14" diameter x 7" deep holds eight side plants, eight top edging plants and one 6" or three 4 1/2" centerpiece plants. The advantages of side planting are many. 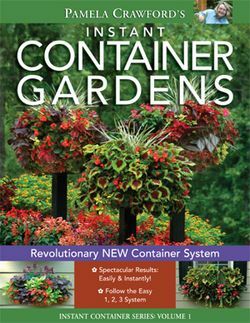 You get a lush, fully covered container much more quickly and an impressive floral display in weeks instead of months. But side planting used to require time consuming handwork, cutting holes in liners or juggling loose moss. Pamela Crawford's new side planting containers mean you can create spectacular plantings in a small fraction of the time it used to take. 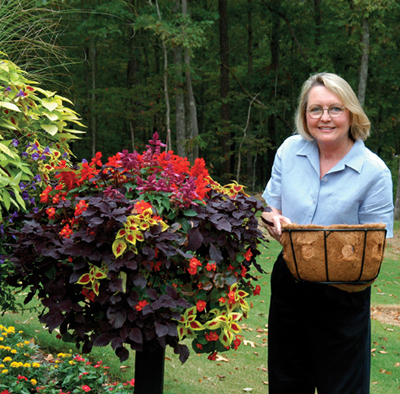 New-design baskets and liners give spectacular instant results. Ingenious holes and slits in the coco-fiber allow mature plants with 3" to 4 " root balls to be inserted. Side planted hanging baskets look terrific from below as well as from the side. Hang them in groups of three or spaced singly along a porch. 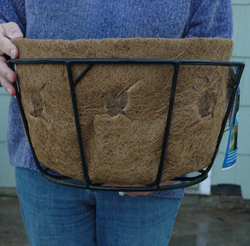 Or use our Border Column Kits designed just for these Basic Basket Planters. Received the basket in great shape. My first try with this type of basket. Planting instructions great, planting was easy. By second day the flowers were perky and looking good. Love it. Will do again next summer with vibrant colors. After years, finally time to replace. Can't imagine life without my baskets each year. Loved the idea, loved the planter. The instructions were fine, but I was awkward at first. The 2nd and 3rd planters went much faster. They are already looking great. I can't wait for a clouple more weeks to pass. Loved taking the challenge to do something new! Can't wait to watch it grow! I've been looking at this for a long time, and have admired the photos in the catalog of the planted ones as well. Haven't planted mine yet, but I think it will be perfect. Very well made! This is my 4th planter/post that I have displayed in my yard. MANY compliments on their beauty. 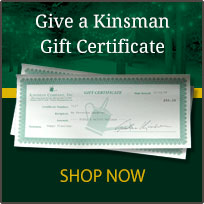 Worth the investment, I have had the first three for 5 years. Super easy to plant up and it already looks amazing after only one week.